Rajasthan Royals new Skipper Ajinkya Rahane in a presser said that Australia’s explosive batsman Steve Smith will be missed in the squad. Heinrich Klaasen will join the team as the replacement in RR squad. Rahane in a presser said that Smith is a great player and deserves respect. Steve Smith is charged with 12 months ban after the ball tempering issue. 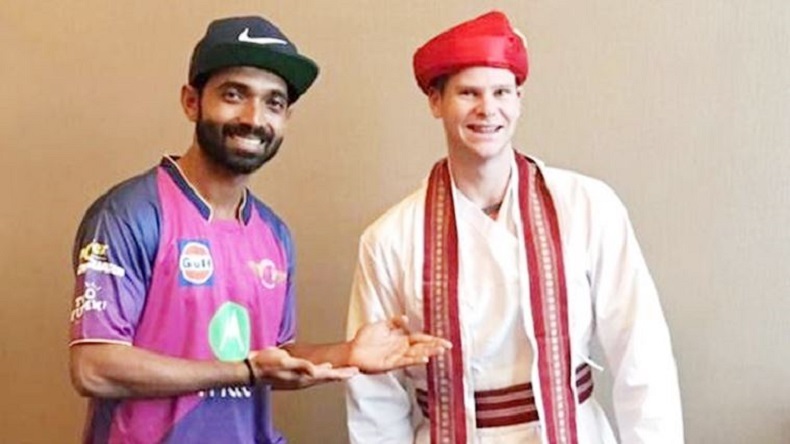 Rajasthan Royals new Skipper Ajinkya Rahane in a presser said that Australia’s explosive batsman Steve Smith will be missed in the squad. Addressing a press conference, Rahane said, “We will miss him but we have a replacement (Heinrich Klaasen). I feel it is an added responsibility and also a big challenge for me.” After the ball tampering incident, Smith is charged with 12-months ban and will be missing the 11 edition of Indian Premier League. Australian explosive batsman had earlier represented the Royals in 2010. Despite the recent ball tempering issue Rajasthan Royal’s skipper Ajinkya Rahane backed Aussi and stated him as a great player and team leader. Rahane said that Smith has contributed a lot to international cricket and holds many records against his name, he truly deserves to be respected. “Whatever had to happen has already happened. It’s bygone now. It is not for me to comment on the amount of penalty handed to him by the Cricket Australia and the ICC. But his cricketing record should be respected. I respect him as a batsman and player,” said Rajasthan Royals captain. Ajinkya Rahane also thanked team management for handing over the command. Rahane titled it as a great opportunity and said, “I am thankful to Rajasthan Royals, who have provided me a platform and also the opportunity to lead the side. I remember Shane Watson had mentioned my name to Rahul Dravid. I am thankful to people like them and also the fine support staff, which the Royals have.